It comes as no surprise that Social media is the most popular content consumed online these days! Millions of people spend time on Social media every day, and wherever the eyes are advertising money will follow ! Could Paid Social Media Jobs really be legit? We will see ! There are people making money on social Media every day in various ways from advertising to social Media Marketing. 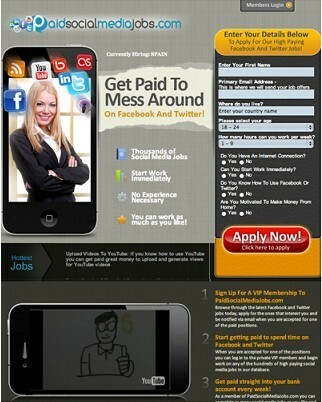 Today we will be looking at a promotion from ClickBank.com called Paid Social Media Jobs. And since many in my audience are new to online business, I want to steer them straight and offer a review they can count on! Thanks for checking my review of Paid Socil Media Jobs! Let’s get into it! If you are would like to see more information on the #1 way to make money online, click the button below ! 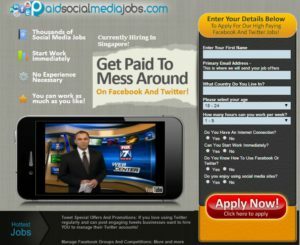 After a lot of research and testing, I have discovered the truth about Paid Social Media Jobs ! And it might surprise you to hear that there are actually elements of honest work and the ability to make money with the system! But the system requirements are almost as though you aren’t using a system at all. Let me explain. Negotiate contracts with potential clients, and convince them to trust you with their accounts. Other than that, it’s really simple right? (Cough, Cough) ! I could be wrong, but it doesn’t look like these tasks are exactly easy to accomplish! And furthermore, the job of handling the social Media accounts of other people and businesses can be accomplished by putting up a fan page and asking for business, so why would you need Paid Social Media Jobs to start with. The task required within this platform are more of a professional level of expertise than a simple “make some money online” gig. And it would be reasonable to expect that people who have such expertise must have experience in handling other people’s and business’s social accounts, s once again why would you use a ClickBank offer to get started? The claims on the front side made by Paid Social Media Jobs is that it is easy, and it is anything but easy ! 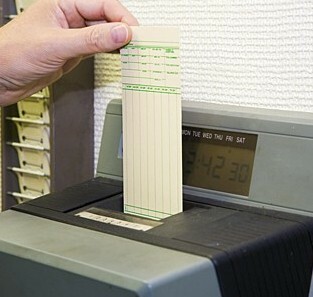 In fact everything involved requires that you handle the entire business manually! The first module is nothing more than a 26-minute video that explains what is expected of you when handling the social media accounts of various people and businesses. And after you complete this first level of training, you should know what is expected of you. This is definitely not a job for a beginner! And not a job that you should anticipate spending small amounts of time on! And that is the extent of the training in this section! This training module covers Branding on a very generic scale! And there is little or no assistance on what is a complex topic in real life ! When you go to the FAQ section or help desk, there s virtually no help and no sources for help. Strangely this section consisted of what I took as vague suggestions and ideas that were without basis. And I will be honest with you here and tell you that I became somewhat disconnected and unenchanted with the system. It’s like they are telling you that the focus of what is expected of you in these jobs is very detail oriented but there raining on accomplishing these tasks is very general and remedial at best! …….. I HIGHLY DOUBT THAT ! If you are tired of sifting through scams and Con men to try to find legitimate ways to make money online. I would like to invite you to learn more about the #1 platform for making money on the internet! Learn More by clicking the button below! That is the question I keep asking about the entire idea represented in Paid Social Media Jobs! I mean smaller companies cannot afford big money for a social media representative. And the bigger companies already have someone handling their accounts. If you do find a company that is interested in hiring social media manager, they will undoubtedly want someone with a high level of experience and proof of past success ! These types of conditions will mean that the big money is likely off the table until you build up a client base and build a resume that proves that you know what you are doing. In the mean time you will likely have to accept sub prime jobs with equal income to build that resume. This doesn’t sound like a job that is easy and offers big earning potential. At least not for the foreseeable future! 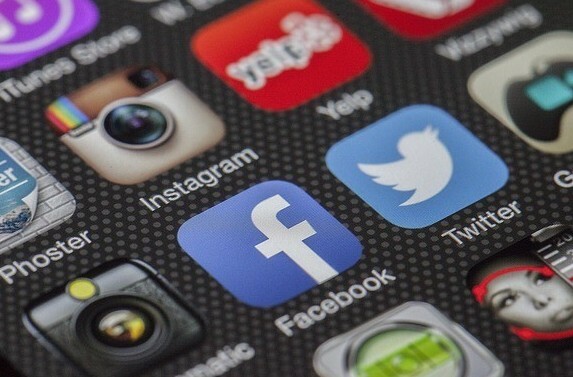 There is a lot of competition out there for these types of social media management jobs! The jobs described in Paid Social Media Jobs are real ! There are people making very good money every day from doing these kinds of jobs.That is nothing that can be argued! My biggest problem with this offer is the way it is presented as an easy way to make substantial amounts of money doing something that many people are already doing, and the level of expertise, and expectation does not lend it’s self to the claims made in this offer! There are social media firms handling thousands of accounts and freelancers with tons of experience all over social media looking for accounts. While it is possible to break in to this field, it is nowhere near as easy as is portrayed by Paid Social Media Jobs! If they offered a little more value up front, or at least told the truth about what is involved in managing social media accounts, and the fact that it is no get-rich-quick type of opportunity they might get a thumbs up from me ! But the information that is held back and the deceptive nature of the offer actually pulls me the other way ! I have taken some time with this decision, and that decision is that this program is legit! The program is legit only because the fact that there are people making money doing this exact thing and making money! But the way they promote their offer is misleading and deceptive, so on that hand I consider Paid Social Media Jobs to be a borderline scam! Once again, managing Social media for people and business is not a scam ! Promising unrealistic expectations is! Are there people who can get value from Paid Social Media Jobs? Absolutely you can get value from Managing social media accounts for businesses and individuals, but other than telling you about the fact that you can, this offer adds little to no value to that subject ! Work very long hours building people’s social status (If you have worked on your own social accounts you know what I mean. With overseas outsourcers in programs like fiverr it will be difficult to compete with people who live in a country where $350 per month is a very good job! I don’t see any difference in doing these types of jobs or flipping burgers at McDonalds for the first year. It will take time to build a client list that trusts you and will pay you. At least you will get guaranteed minimum wage fr long hours at McDonalds! The lure of online business should be one that offers a new way of life and freedom! Chasing the rat race and working a 9 to 5 soul crushing job, is a terrible way to make a living! In fact, it isn’t living at all, it’s merely existing! But the worst part of it is that you spend your valuable time trading it for money, instead of having freedom of your time! That is the most important asset! Time and the freedom of how you use it! Because one day we will all find ourselves out of time. Earning passive income is the real reason to start an online business and make money online ! In a passive income business, you do all the setup and work up front and enjoy the benefits of your labor for a long time to come! 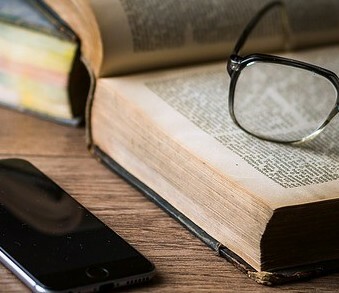 Instead of trading your time for money, you invest the work on the front side and make money from these investments for a long time to come with only a few hours a week to check on it. By building a passive income stream or many passive income streams you can check on your business from anywhere in the world as long as you have a computer and an internet connection! In fact many entrepreneurs choose to live in a different country every year! Maybe you don’t want to be a world traveler but would love to tour the USA or whatever country you are from. Passive income is how you can do it! In fact its how you can do anything you want, because there is no job holding you down! How do I get started earning passive income? If you want to learn how to take your life and freedom back you can click the button below for the #1 rated way to earn passive income! They will take you by the hand and teach you how and it requires no special education r experience and best of all…. It’s FREE! If you are looking for a way to bet the rat race and nine to five existence, there is no better way that to make money online! 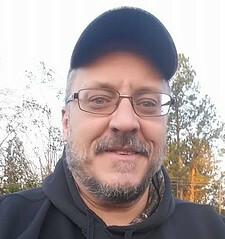 Making money online with passive income is the single greatest way for ordinary people to make a living and build wealth in the world we know today! It takes no special training or education, and unlike years past it takes absolutely no experience or resume! 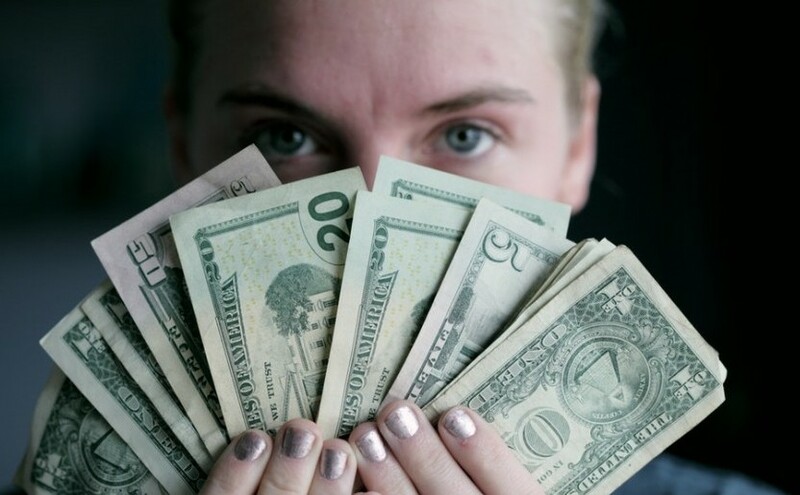 Offers like the one at Paid Social Media Jobs will work if you are willing to trade a lot of time for money in the process, if you are able to compete with outsourcers from around the globe ! But I very much recommend against it! And instead recommend that you START YOUR PASSIVE INCOME TODAY ! I would appreciate it if you left your comments and questions in the comments section below! It helps me better serve my audience. Previous Post:Is Five Minute Profit Sites A Scam- The Shocking Truth! 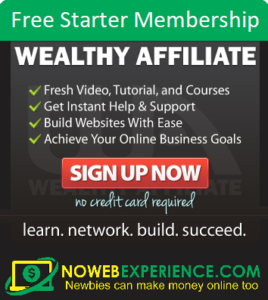 Next Post:What Is Super Affiliate System 2.0? A Way To Make Money Or Donate Money? You have examined a (around paid social media jobs) in some significant detail, been honest about the pros and cons of this product. In addition you have backed up your claims with reasonable, no nonsense arguments and explanations. I particularly like your comment: ” I want to steer them straight and offer a review they can count on” because you set the scene for a realistic review of the paid social media jobs product from Clickbank. When you discuss the role where you operate as a freelancer your 6 points end with advice that you have to provide your prospective clients with a detailed resume. It all sounds like a business and you are right when you say that you could do it all yourself and enter a very competitive arena. One thing that also concerns me is that it is not clear if the Paid social Media Jobs product actually provides you the clients or you have to find them yourself? Thank you for your kind words Steve and thank you for your comment! The “offer” at Paid Social Media Jobs” does little beyond instruct you on doing some of the things needed to start building clients. It gives you no leads and no real meat and potatoes. Thank you so much for your valuable insights! Honestly I just assumed Paid Social Media Jobs was a scam but I’ve also heard of people making lots of money as a social media accounts manager, especially managing Instagram account for big brands and businesses. It takes a lot of skill and knowledge for sure but it is interesting. What worries me about Paid Social media Jobs though is that it seems the training isn’t that detailed or step-by-step, but more general and generic instead. is that right? Is the $37 price a one-off fee or monthly? Thanks again for such a thorough and honest review! The $37 is monthly and there are up sells involved as well ! Anyone who has the expertise and capability of doing the “Paid social media jobs” is either already doing it, or doesn’t need a scam to show them how.